I haven't been using my camera much recently because work is nuts right now. 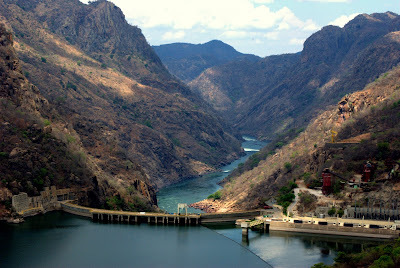 Here's an old picture of the Cahora Bassa dam. As an engineer, I was pumped to go visit it. I wish I had more time to talk about Cahorra Bassa or the new dam, called Mphanda Nkuwa, that the government is building 60km downstream with the help of the Chinese government. And that the existing Cahora Bassa only produces a seventh of the designed electricity capacity. Or that almost 90% of that production is sold to neighboring Zimbabwe or South Africa at literally the world's cheapest electricity prices. And about the fact that only 15% of Mozambicans have electricity in their homes.